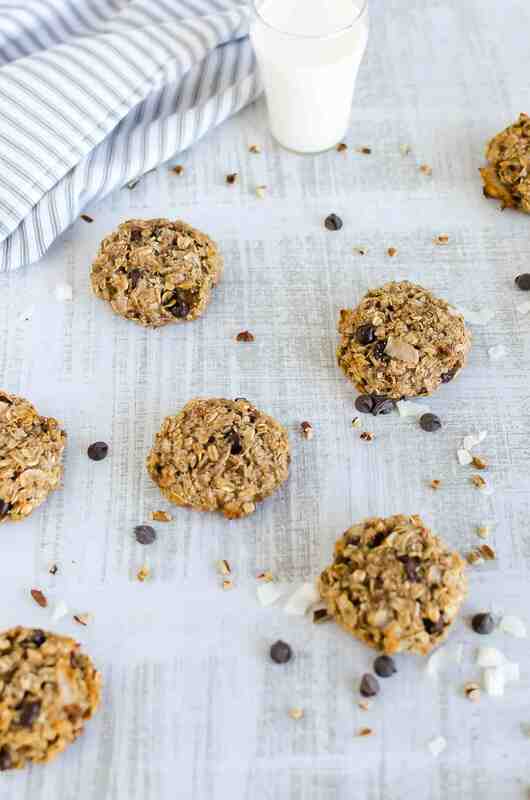 Guilt free cookies for breakfast! 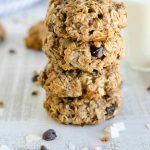 These breakfast cookies are made with whole grains, bananas, nuts, coconut and a tiny bit of dark chocolate. Gluten free, sugar free and egg free! A cookie you can feel good about eating. 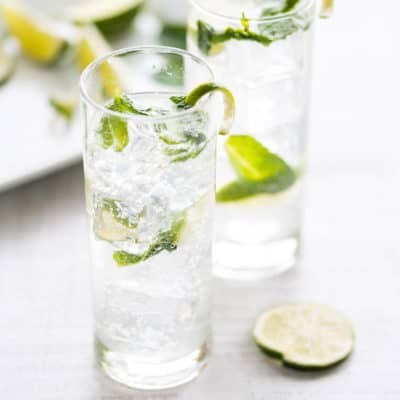 Go ahead and have two! Why yes! I don’t mind if I do! These are a staple around here. And who doesn’t like cookies for breakfast?? This is a cookie you can feel good about eating. ??? ?For a seasonal touch try the pumpkin version. 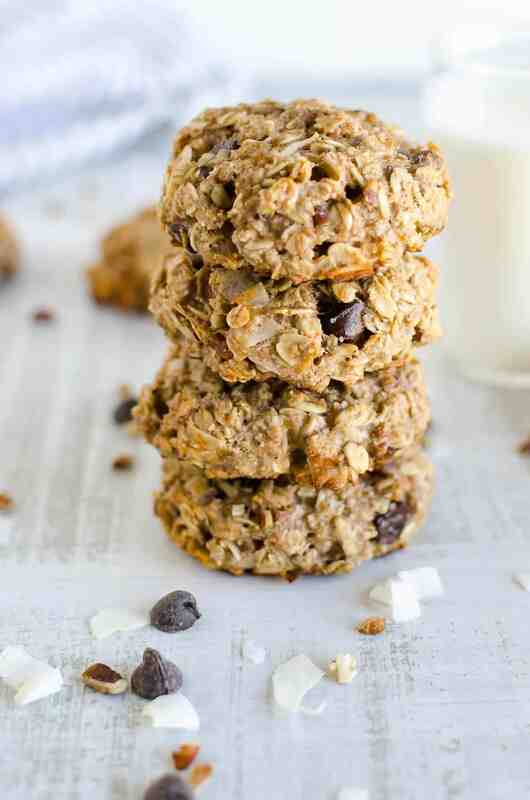 These breakfast cookies are gluten free, sugar free and egg free if anyone cares. If you leave the chocolate chips out, its dairy free too! You could always substitute a dairy free chocolate. We love taking sweets and changing them into a healthier version, like these Breakfast Banana Splits. 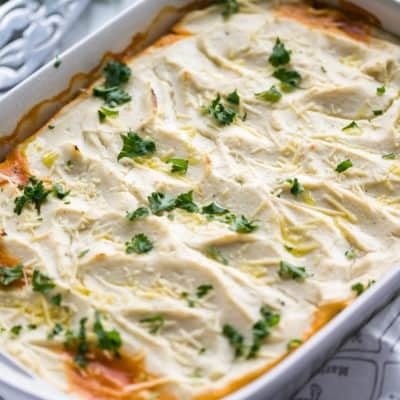 I love this recipe because it super easy and doesn’t take a lot of time to put together. If you got up a little bit earlier, you could whip this together. We also eat them as a healthy snack, and I’ve even made them ahead and enjoyed the next day. They are best when they’re warm though. Step Two: Stir it all together. Really, just throw it all in a big bowl and stir so everything is mixed well. Step Three: Roll and bake! Take a small handful and roll the “dough” into a ball, place it on your baking sheet and just flatten a touch. They go in a 350 degree oven for 15 minutes. 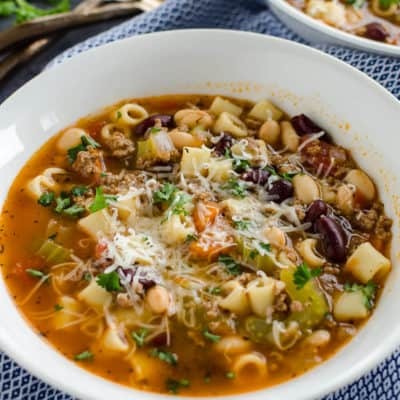 Another reason I love this recipe is because it’s so adaptable. If you don’t have the specific ingredients you can easily change it up. Don’t have 3 bananas? Use two. Don’t have coconut oil? Use Olive Oil or Avocado oil. I’ve had to make adjustments sometimes, and they always turn out. Try some different add ins, like dried cherries or dried cranberries or dried apples. If you don’t have almond meal, you can grind up whole almonds in a blender or food processor until they are closer to an almond meal texture. Some chunks are okay, but mostly ground. 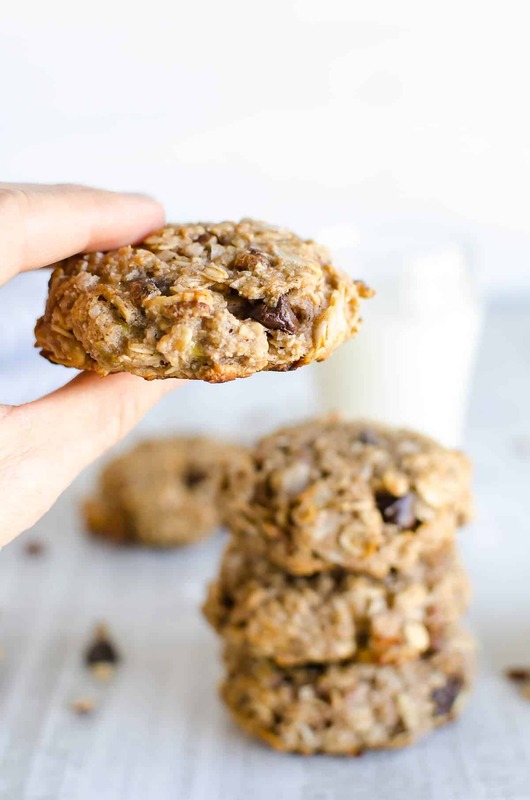 These Healthy Breakfast Cookies are adapted from Bread & Wine by Shauna Niequist. 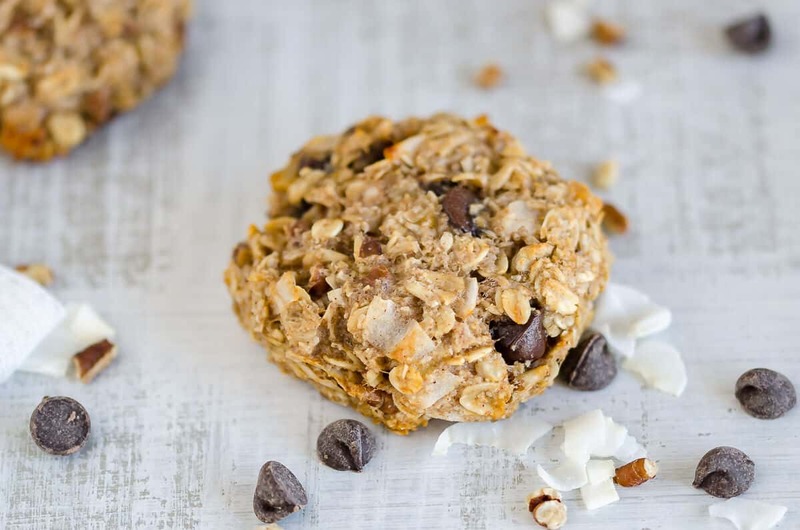 A healthy cookie you can eat for breakfast! Made with whole grains and no sugar! Add coconut oil and vanilla and stir. Form the dough into 12 balls on a parchment lined baking sheet and flatten them a little bit. 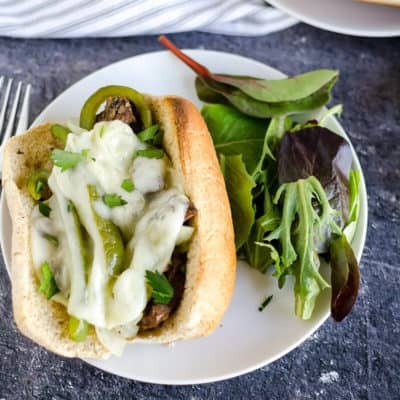 Want to get new recipes delivered to your inbox? Sign up here! Cookies for breakfast sounds good to me! As I am always in a rush each morning, I will most definitely be trying these out. Thanks for the great idea, Chellie! These look so good. I’m allergic to eggs and these will work perfect for me! Bookmarking this page! 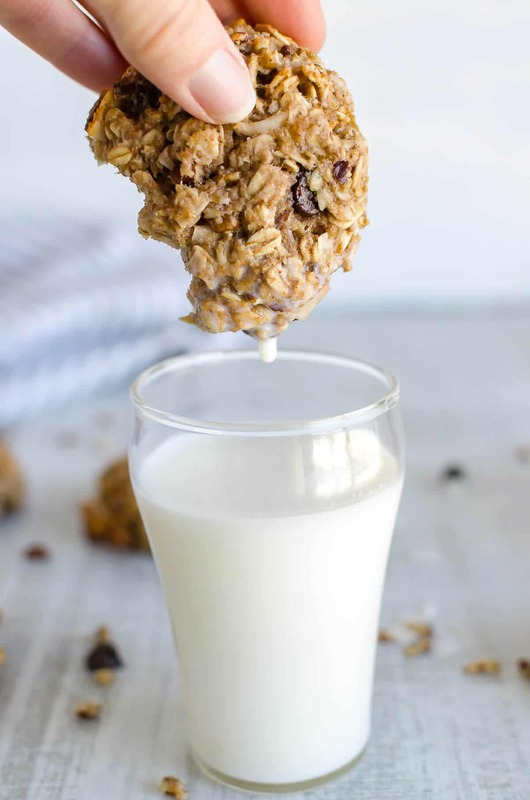 Anything that pairs cookies and breakfast is a win. Period. These look great! I LOVE Shauna Niequist!!! I got to hear her speak once. Such a lovely lady. We like to make breakfast cookies often. I love that these are very allergen friendly. Hey Mary! I got to work with Shauna for a short time a long time ago at Mars Hill. I agree, she’s lovely! Hope someone at your house can eat these cookies. Those look awesome! I love anything sweet and hate breakfast, so this will give me something yummy to eat in the morning! They really taste like a cookie! I hope you like it. Thanks for stopping by! As a lover of beautiful food, I was hopeful that the name of your site meant there was food here. You have not disappointed! These cookies may be the only way to get me to eat bananas:) The blueberry desserts have my mouth watering. I absolutely love blueberries. I will definitely have to try these recipes out! so glad to find your site on Friday archives. You have a new fan and subscriber too. May God bless you and yours in all your endeavors! Definitely going to have to try this, always looking for a treat that I don’t have to feel guilty about. Sounds healthy and yummy, a winning combination. They look so good! 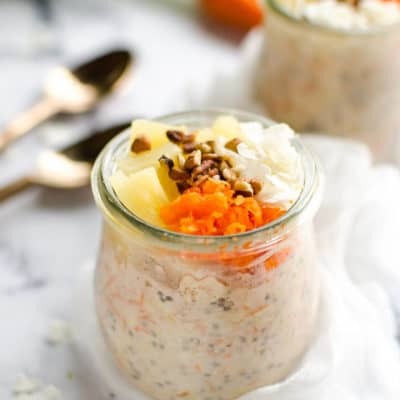 I was trying to find something sweet and healthy for breakfast – will definitely try this! These look so yummy! 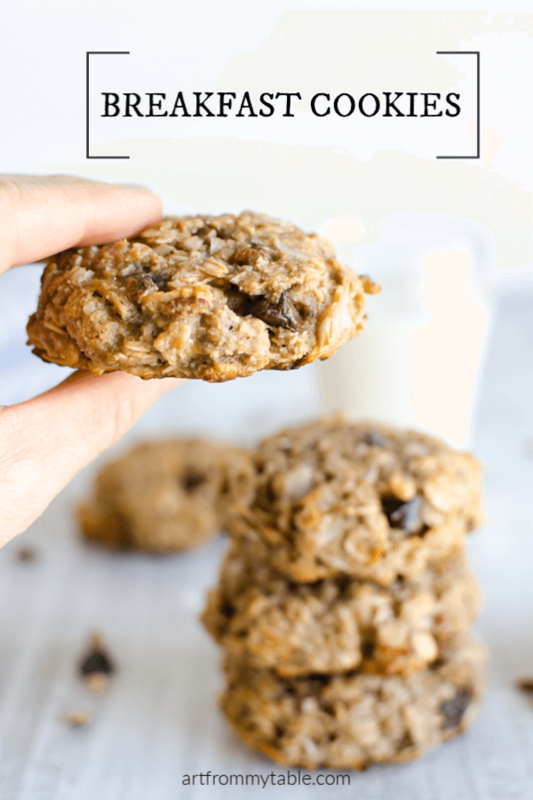 I love cookies and it’s great that it’s so easy to change some of the ingredients in case you don’t have some on hand. Thanks Lauren! You’ve got to love a guilt free cookie!! Love having cookies for breakfast! And you know I only do the wholesome kind, so these are right up my alley 🙂 Especially great that they are so adaptable!